You can contact us by phone, email or post Tuesday to Friday 9.30am–5.30pm. 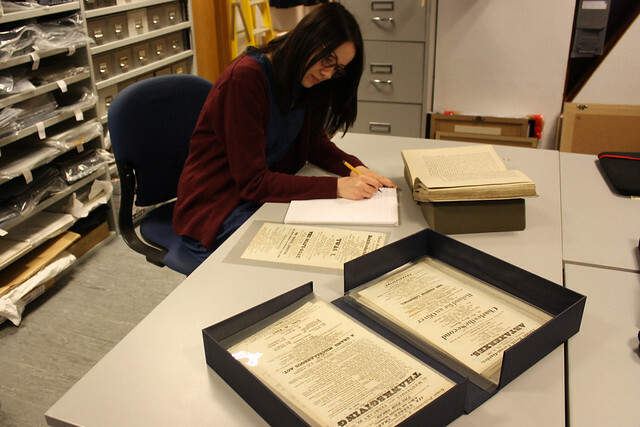 ROH Collections is open to external researchers by appointment only 10am–1pm and 2–5pm on Tuesday–Thursday each week. Due to limitations of space, researchers must be engaged in a specific research project and must register with us prior to making an appointment. contact us to discuss your research, so that we can advise on availability of material and appointments. complete the Researcher Application Form and agree to abide by the Regulations of the ROH Collections. This can be sent to you by post or email on request. Completed applications should be sent to the address above. Full details about acceptable photographic identification can be found in our Regulations, available on request.